This weekend I headed down to London to see LCD Soundsystem at the Alexandra Palace. Before the gig I picked up some new/old vinyl from the Flashback Records stores in Islington and Shoreditch and from Sounds of The Universe in Soho. I enjoyed digging at both stores; Flashback Records now seems to be filling the Music Video Exchange gap in the city, I was sad to find that the much-loved MVE Berwick Street store is now closed. 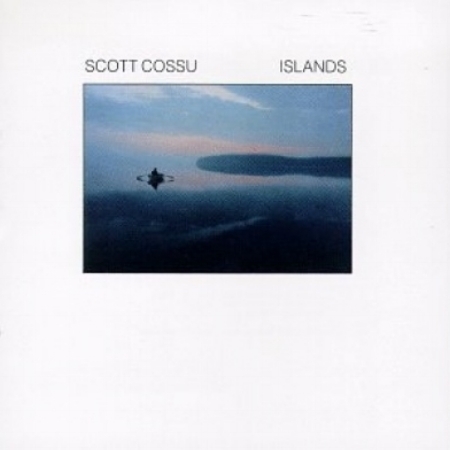 First up from Flashback was finding Scott Cossu - Islands, a new age piano LP from 1984 which was recorded in New York. On the back of the sleeve is a note stating: 'this was recorded on Manhattan, the most famous island, representing my progression of travels and my love of islands, their inspiration and gypsy spirit within. May this music help unite us all as a family of islands'. Far out ideas from Scott there but a well produced and pure sounding album, matched with gorgeous minimalist sleeve art. I also bought the 10" of the Ragz Nordset - Sleepdancing which has Ron Basejam remixing. It, for me, is one of Ron's best reworks, a classic piece of balearica that has an impressive key section and breakdown, the dub offers acid lines too, it's a great release. I picked up Andy Votel - Styles of The Unexpected E.P. For the track 'Doe Eyed' (Andy is a hip-hop beat maker and studio producer who made albums for Badly Drawn Boy and Ian Brown) and The Stepkids - Sweet Salvation on the always dependable Stones Throw Records. The Stepkids are a great demonstration of the musical range on Stones Throw and how weird psychedelic folk music fits on the same label as experimental hip-hop, the Yacht remix of Sweet Salvation is particularly good and well worth checking. At Sounds of The Universe I left with the new pressing of Roy Ayres - Programmed For Love 12", a track from his 'You Might Be Surprised' album. It's a solid boogie 808 slow jam and has Ayres experimenting with electronic drums and sampling, providing another classic example of the more modern section of his back catalogue and a great case of how the main man can do it all in music without missing a beat.